This junction box is made to order and normally ships 1 to 3 business days after your order is received. Please call us if you need a specific shipment date at the time of your order, but we usually have 1 or 2 units of the 24 x 24 x 6 and 24 x 24 x 8 in stock and ready to ship. 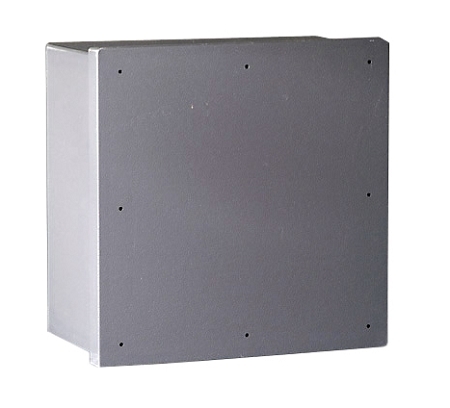 Junction boxes larger than 12" square can also be made in custom sizes up to 48" x 48" with screw cover, hinged covers, or a variety of other options. Call for a quotation if needed.